Drive your own vehicle can give really you a high moment in your life. If you are looking at the keys of your car and thinking about to drive it then call us. 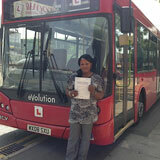 GP Training at Romford offers vast range of driver’s training programs to meet individual needs. The GP training provides support and guidance to prepare for tests one needs to take before acquiring a driving license. We provide classroom studies and theory books for the tests in various languages.If you want to drive any vehicle on your own, you have to follow certain rules and regulations that are essential for safety of the individuals of any city or town. Age is the main factor to decide when and what kind of vehicle one can drive. Your vehicle should be safe and legal for driving on road. For vehicular driving a dedicated agency is responsible for issuing the driving license. GP Training employ trained ADI (Approved Driving Instructor) registered under DSA (Driving Standards Agency) to teach you how to drive.They have expertise and knowledge of know-how to teach you drive correctly and safely. 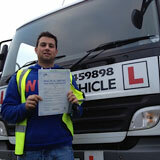 At GP Training, we maintain fully equipped quality vehicles to keep your worries away. Vehicles furnished with dual controls assure you that your car will not get crashed as instructor also have controls to eliminate the possibility of any unfortunate incident. LGV/HGVTraining: LGV (Large Goods Vehicle)/HGV (Heavy Goods Vehicle) driver’s training is for large vehicles usually used for heavy load carrying purpose. One can go various options like (C, C1,C+E and C1+E, B+E car and trailer training) according to the requirements. The weight specifications are different in every category. PCV Training:PCV (Passenger Carrying Vehicle) training can be further categorized as (D, D1, D+E, and D1+E) with little variations such as category D automatic bus, D1-Minibus for manually operating vehicles etc. This categorization is based on number of passengers any vehicle is carrying. 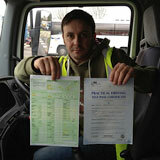 Driver CPC Training: For LGV and PCV drivers an additional CPC (Certificate of Professional Competence) is essential for professional driving. 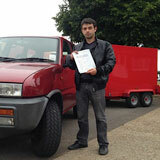 CPC certification is the new requirement for the professional drivers. 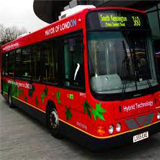 Driver CPC legislation demands CPC from new drivers in addition to LGV and PCV licenses and a periodic training of 35 hours by every 5 years. For getting a CPC one has to undergo a set of tests. CPC theory tests are divided into parts. First part deals with theory tests and second part is for practical tests. Theory part further classified into two: in first part you have to attempt multiple options questions and second part assesses your hazard perception. You have to respond by seeing some video clips related to road traffic and safety while driving. CPC case studiesare designed to evaluate the individual’s knowledge about traffic rules and driving.In practical test number of parameters are tested and apprised. You have to drive the vehicle in real to demonstrate all the codes required for safe driving. An eyesight check is must for getting the approval. By registering yourself at GP Training you can leave your worries regarding the paper work. We provide you complete assistance while filling Provisional Entitlement Form (D2), Medical Form (D4) and send them to DVLA. 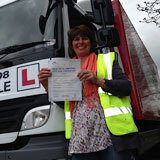 On our website you can go through driving assessment questionnaire to help you understand about your driving potential. We have specialized driver CPC modulesintroduced by DSA for new entries in driving field. We offer modules like all-weather driving, night driving, rural driving, dual carriageways, town driving and out of town driving. By enrolling yourself to these modules you will gain more confidence in your driving capabilities and you can get yourself aware about latest rules and laws in driving circle. One additional benefit that you can opt is by adopting these modules you can apply for insurance policy of your vehicle. 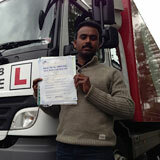 These modules will definitely enhance your driving skills and you will feel a completely different experience. At GP Training you can also avail the pass protection services. By applying for pass protection you are allowed to re-sit in tests for free if you fail in your attempt to clear the exam. If you do not the approval for the category that you have mentioned to get the license for, refund option is also there for you. 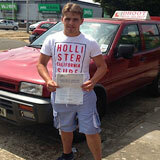 GP Training is one single point where you can get all starting from applying for the provisional driving license, finding a qualified instructor to train you as a smart driver, giving you driving lessons about how to drive till the passing of your driving test.For more information and assistance on the laws applicable to learner driver, you may contact GP Training in Romford, London.